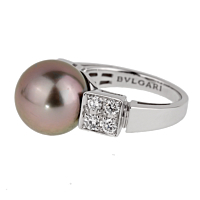 A chic Lucea pearl diamond ring from Bulgari. 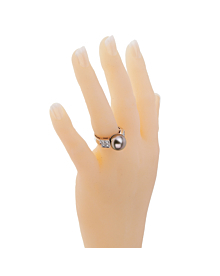 Featuring a 11.5mm black pearl and adorned with 8 vs1, f color round brilliant cut diamonds, this ring is sure to stand out. 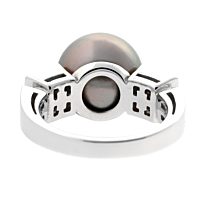 The unique black pearl really makes a statement, especially when paired with eight brilliant diamonds. 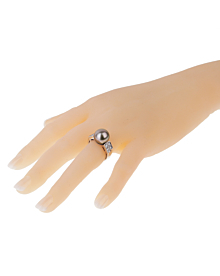 This ring combines old-school class with a more modern flair to create a truly beautiful and unique piece.